Pennsylvania Dutch Cake and Custard Pie won the 35th Pillsbury Bake-Off in 1992. Recipe on Pillsbury.com by Gladys Fulton of Summerville, South Carolina. 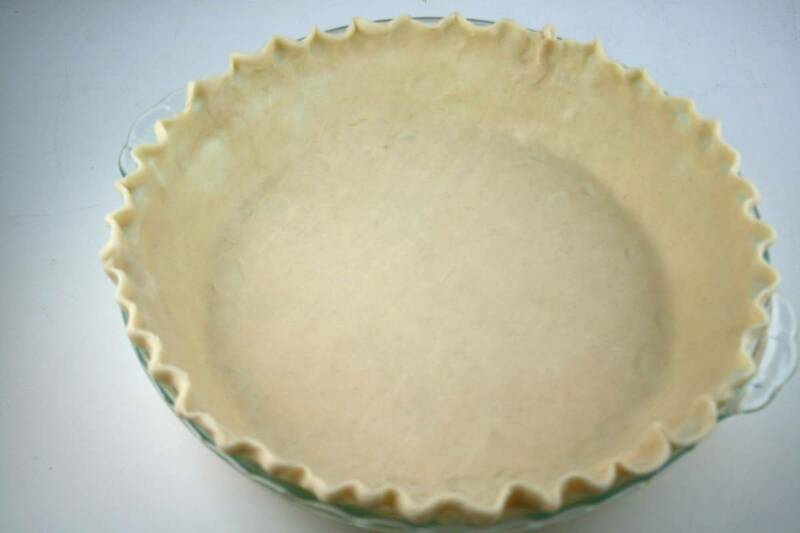 Start by placing one crust in a pie plate. 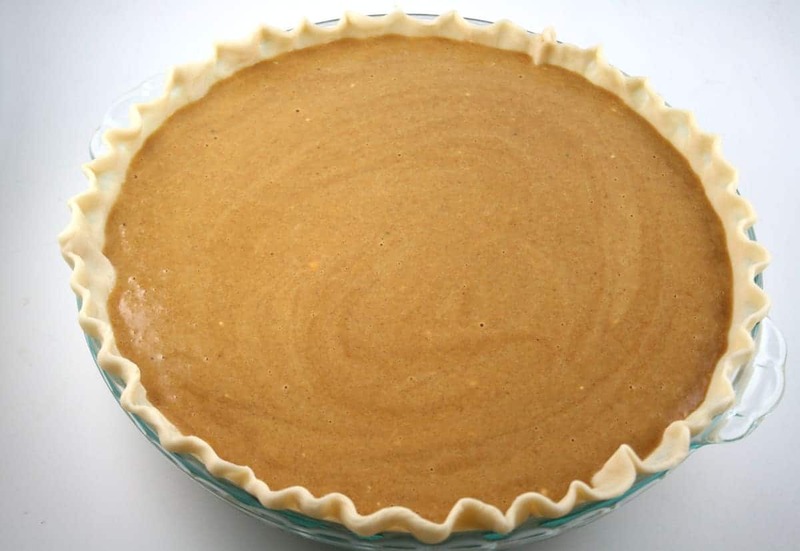 In medium bowl, mix 1/3 cup granulated sugar, 2 tablespoons flour and the apple pie spice. Stir in remaining filling ingredients until well blended; set aside. In small bowl with electric mixer, beat 1/2 cup granulated sugar and the butter on medium speed until well blended. Beat in sour milk, 1 egg and the vanilla (mixture will look curdled). On low speed, beat in flour, baking powder, salt and baking soda. Spoon into crust-lined pan. 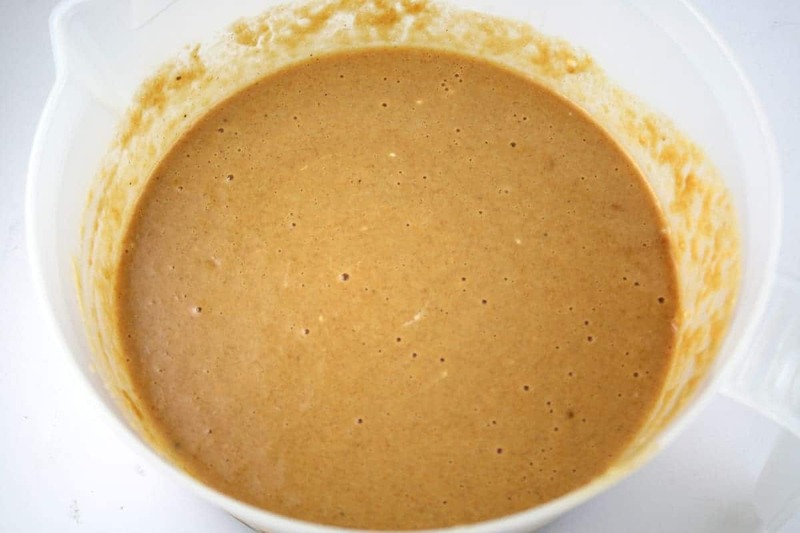 Carefully pour filling mixture over batter. Bake 50 to 65 minutes or until center springs back when touched lightly and top is deep golden brown (filling will sink to bottom during baking). In small bowl, mix powdered sugar and coffee until smooth and desired drizzling consistency. 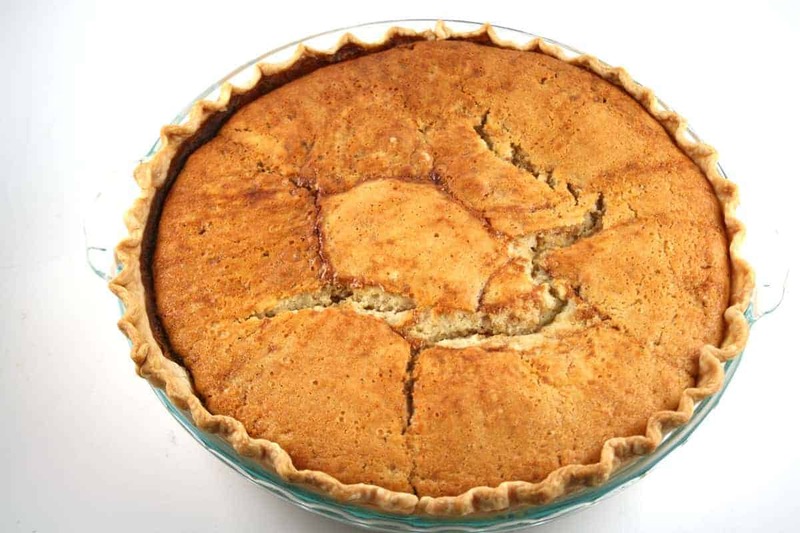 Drizzle over warm pie. Serve warm. 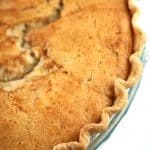 Place pie crust in 9-inch glass pie pan or 9-inch deep-dish glass pie pan as directed on box for One-Crust Filled Pie. Heat oven to 350°F. 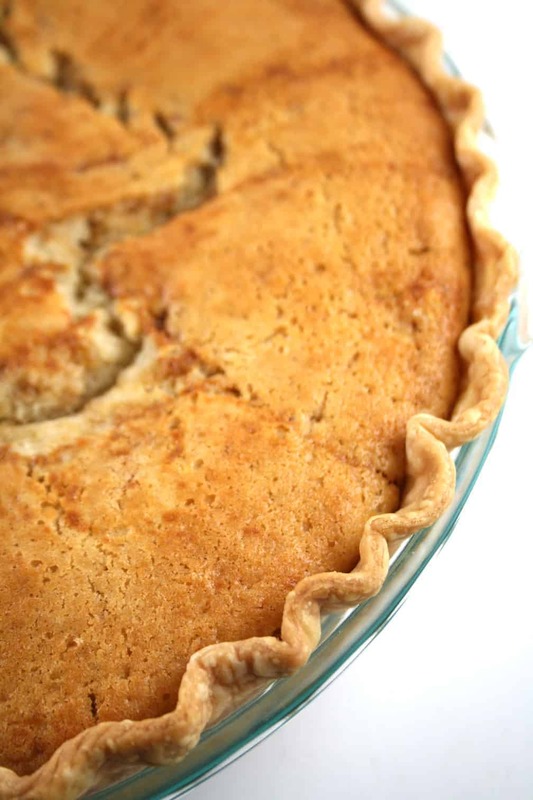 In medium bowl, mix 1/3 cup granulated sugar, 2 tablespoons flour and the apple pie spice. Stir in remaining filling ingredients until well blended; set aside. In small bowl with electric mixer, beat 1/2 cup granulated sugar and the butter on medium speed until well blended. Beat in sour milk, 1 egg and the vanilla (mixture will look curdled). On low speed, beat in flour, baking powder, salt and baking soda. Spoon into crust-lined pan. 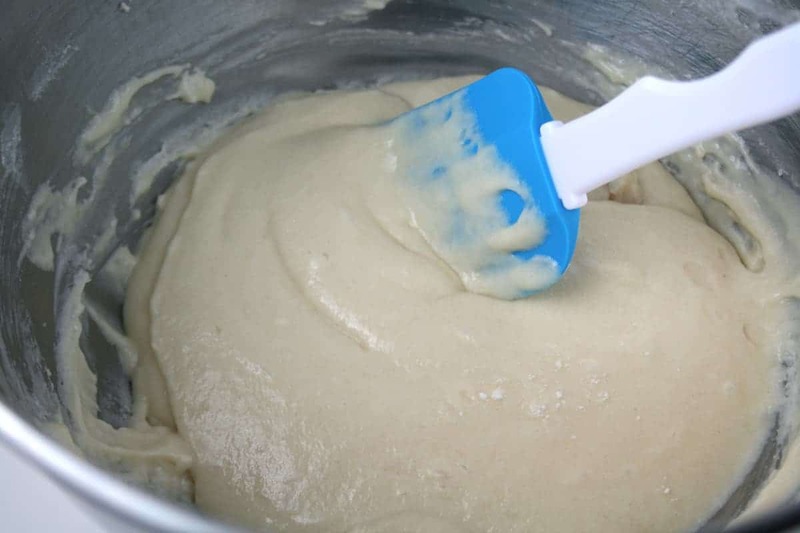 Carefully pour filling mixture over batter. 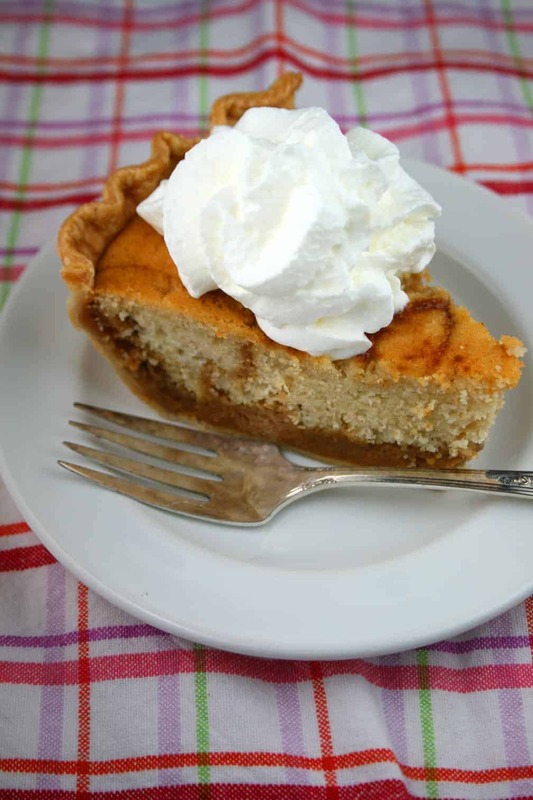 *A mixture of 1/2 teaspoon ground cinnamon, 1/4 teaspoon ground ginger, 1/8 teaspoon ground nutmeg and 1/8 teaspoon ground allspice can be substituted for the apple pie spice. **To substitute for buttermilk, use 1 teaspoon lemon juice plus milk to make 1/2 cup; let stand 5 minutes.